NBC 6's Dan Krauth is outside the spot where a gunman shot two people and injured more before turning the gun on himself. 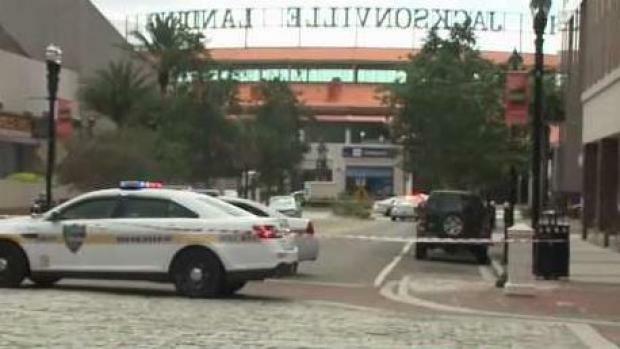 A competitive video gamer killed two people and wounded nearly 10 more during a "Madden NFL 19" tournament at an entertainment complex in Jacksonville, Florida, Sunday afternoon, authorities said. 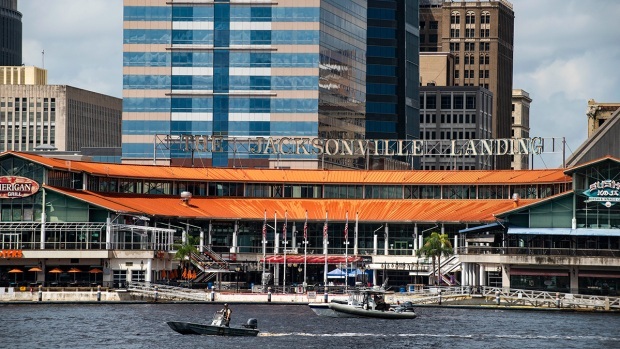 The lone suspect in the shooting died from a self-inflicted gunshot wound after opening fire at Jacksonville Landing, a mall and event space, Jacksonville Sheriff Mike Williams said at an evening news conference. Officials believe the gunman is 24-year-old David Katz from Baltimore. Two people were found dead at the scene, Williams said. Nine people with gunshot wounds and two others hurt during shooting were being treated at area hospitals. All are in stable condition. "Today, this evening and tonight, Jacksonville is mourning," Mayor Lanny Curry said. Though police have not yet released the identities of the two victims, one of them was identified by his former high school as Elijah Clayton. "Our hearts are broken as we learned that former Calabasas Football player Elijah Clayton was senselessly murdered today during the mass shooting in Florida," the Calabasas High School football program wrote on Facebook. "We send our love, condolences, and deepest sense of sorrow to Elijah's Family and Friends." The shooting appeared to be livestreamed — video game tournaments are often broadcast online. Multiple shots can be heard ringing out in video from an XBox Live stream that appears to capture the gunfire at the tournament. A red dot that appears to be a laser pointer is visible on the chest of a player seconds before the first of a dozen gunshots rings out. WARNING GRAPHIC CONTENT: Multiple people were killed in a mass shooting at a “Madden 19” tournament in Jacksonville, Florida, on Sunday. This video allegedly contains the audio of the shooting. It has not been confirmed by law enforcement. NBC News has not confirmed the authenticity of the video; Williams said he was aware of the footage and asked the public to send in more video of the incident if they have it. Williams said that Katz was in Jacksonville for the tournament but wouldn't discuss his possible motive. He didn't know if Katz knew the victims. The games maker, EA Sports, lists a David Katz as a 2017 championship winner. The shooter carried out the attack using at least one handgun, Williams said. "The tragic situation that occurred Sunday in Jacksonville was a senseless act of violence that we strongly condemn," EA Sports said in a statement Sunday night. "Our most heartfelt sympathies go out to the families of the victims whose lives were taken today and those who are injured." Heavily armed agents, some in bulletproof vests and carrying rotating machine guns, could be seen entering an upscale townhome complex near Baltimore's Inner Harbor. Gjoka tweeted: "The tourney just got shot up. Im leaving and never coming back." Then: "I am literally so lucky. The bullet hit my thumb. Worst day of my life." 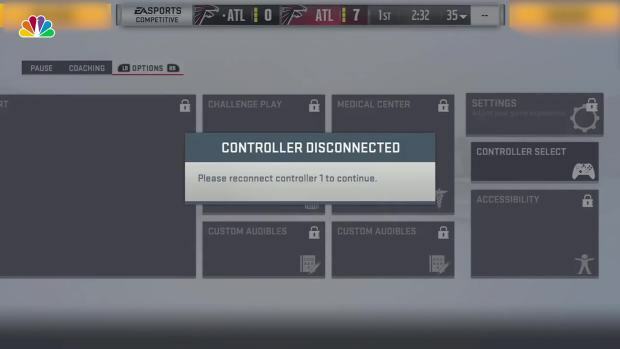 Electronic Arts, the company that makes the popular football video game, confirmed that it is "aware of an incident at a sanctioned Madden Championship Series competition in Jacksonville." "This is a horrible situation, and our deepest sympathies go out to all involved," the company tweeted. White House press secretary Sarah Sanders said the president had been briefed on the incident and was monitoring the situation. U.S. Sen. Marco Rubio responded on Twitter, reiterating that the "situation still unfolding, law enforcement is asking everyone to avoid the area." 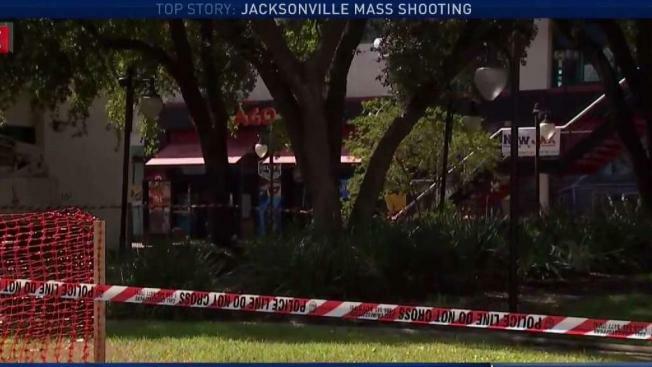 NBC6 has team coverage on the shooting that left several dead at a video game tournament in Jacksonville. "Horrifying news from #Jacksonville this afternoon," the Florida Republican tweeted. "Have spoken to local authorities & am still awaiting more information on this shooting."